In the decades following World War II, the science of decision-making moved from the periphery to the center of transatlantic thought. 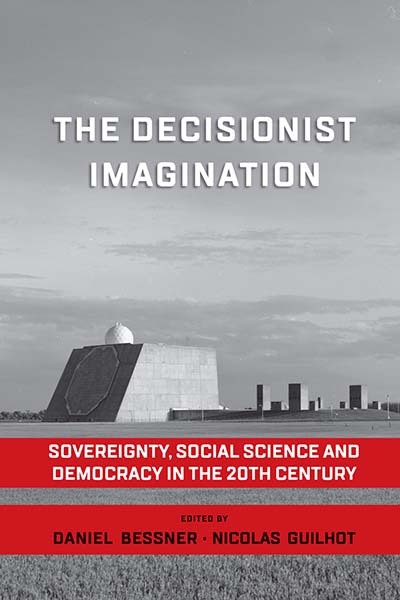 The Decisionist Imagination explores how “decisionism” emerged from its origins in prewar political theory to become an object of intense social scientific inquiry in the new intellectual and institutional landscapes of the postwar era. By bringing together scholars from a wide variety of disciplines, this volume illuminates how theories of decision shaped numerous techno-scientific aspects of modern governance—helping to explain, in short, how we arrived at where we are today. Hi there AHP readers, and happy fall semester to you. After an extended summer hiatus due to technical difficulties, we’re back! 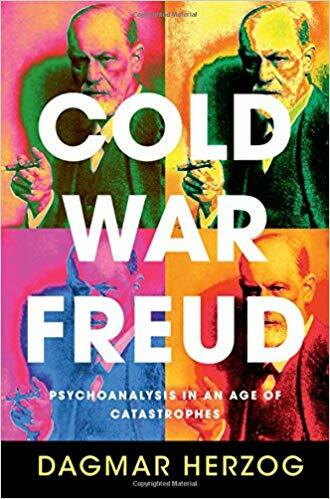 Cold War Freud: Psychoanalysis in an Age of Catastrophes. The work expands on her extensive research program in the historical politics of sexuality and religion. It’s a great listen, enjoy! A number of recent articles in Centaurus may be of interest to AHP readers. Titles, authors, and abstracts follow below. Scrutinizing the multifaceted relationship between the history of science and the political, economic and cultural transformations of the 1970s, while acknowledging that ‘Cold War [social] science’ has proven to be a fruitful heuristic concept, the paper asks if– in a period decreasing confrontation –there was also a ‘détente [social] science’? First, it presents a short overview of the most significant transformations of the 1970s and sketches if and to what extent developments in the realm of science influenced them or even brought them about. Secondly, the perspective will be turned around. After developing the concept of Cold War Science in greater detail, the paper asks whether the changes of the 1970s influenced the development of the natural and social sciences. In particular, it analyzes their influence on the conceptions of knowledge and expertise that have been described as constitutive elements of Cold War Science. In conclusion, it tries to assess if these changes amount to anything that might be labelled fruitfully as détente science. The question of national specificity in science was vigorously debated in 19th century Russia and remains relevant to the geographical and cultural contextualization of scholarship. This article introduces the term academic particularism to denote this phenomenon and addresses it through an examination of the career, ideas and legacy of Karl von Baer in the fields of geography, ethnology and physical anthropology. The article traces significant shifts in Baer’s interests and views after his relocation to Russia in 1835 and identifies a cluster of key ideas present in Baer’s work in the mid-19th century that were further developed by subsequent scholars in the late 19th century and came to constitute a distinctive strain in the Russian human sciences. As 2017 comes to a close, we’ve rounded up some recent releases for your reading pleasure. And if you find yourself in Amsterdam January 9th, 2018 swing by the release of Jaap van Ginneken’s new biography of Kurt Baschwitz. Best wishes for the new year! 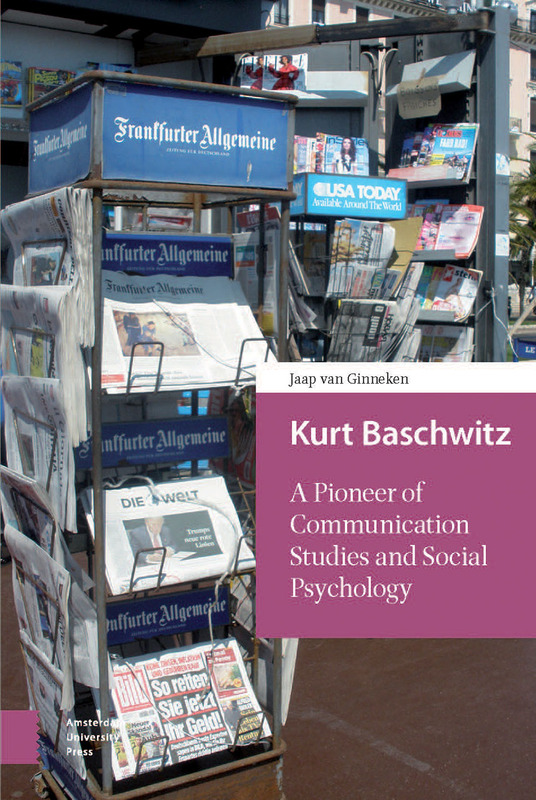 Kurt Baschwitz: A Pioneer of Communication Studies and Social Psychology, by Jaap van Ginneken, Amsterdam University Press. Event: January 9, 2018, 17:00-18:30 in Amsterdam. Register here. It was a century ago, that a young Jewish-German journalist rushed overnight from Hamburg to Rotterdam, to replace a predecessor correspondent who had been arrested and accused of espionage – halfway he First World War. Baschwitz was appalled by the mass propaganda he witnessed, and began to develop a book about ‘mass delusions’ – that became an immediate bestseller upon his return. Thereafter, he became a respected journalist under the Weimar republic, rose to become the editor-in-chief of the influential weekly of newspaper publishers, later published a book about the key role of the mass press in history. In 1933, he fled to Amsterdam, where Baschwitz was made ‘private lecturer’ at the university, worked for a confidential agency gathering information about the rise of Anti-semitism in Germany: resulting in the ‘Wiener collection’, and the current Holocaust Museum in London. As well as for the newly founded International Institute of Social History, that smuggled the archives of socialist pioneers out. He also published books on mass politics and mass persecutions. Halfway the war and occupation, Baschwitz was arrested in a raid, sent to the notorious Westerbork transit camp, for deportation to the East and certain death. But his daughter brought him papers that got him out for the time being. He went into hiding, she joined the resistance. After Liberation, Baschwitz was made professor, and helped found the new faculty for political and social science in Amsterdam. Within it, he built a series of key institutions: a rejuvenated press museum, a national press library and a press studies department, as well as journalist courses.